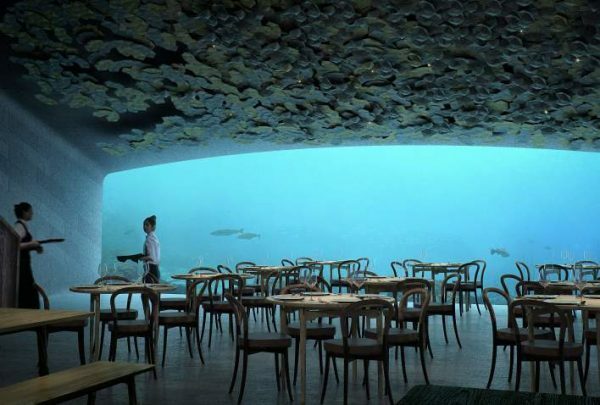 Norway just opened up the largest underwater restaurant, Under. The restaurant located at the southern cape of Norway, is submerged halfway into the water, looking like it has tipped over. 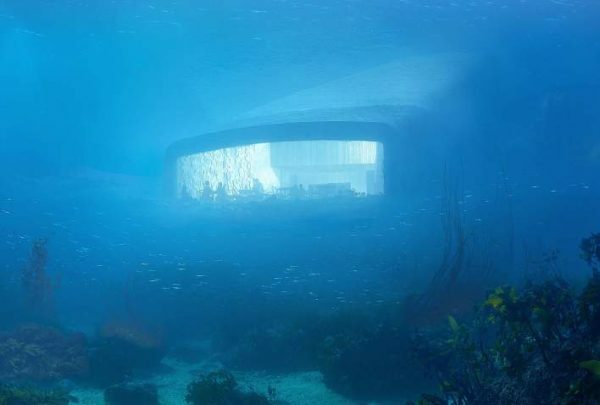 It will have seats for 100 guests, making Under the largest underwater restaurant to date. 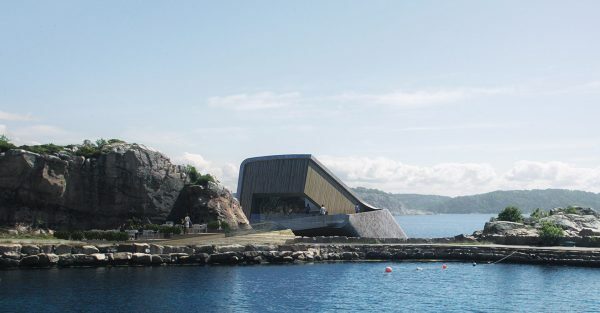 Under is set 5.50 meter below sea level and designed by Snøhetta, a renowned Norwegian architectural & design firm.“The harsh, rough conditions in Lindesnes, have made it necessary to pay additional attention to the structure itself and the materials used when building it. The structure must be able to withstand enormous natural forces from the sea, changing weather, and powerful winds”,explains Arne Marthinsen. The drinks menu is also an experience. UNDER’s Sommelier has created a pairing menu to complete the cuisine of chef Nicolai Ellitsgaard. There is a non-alcoholic pairing menu available. 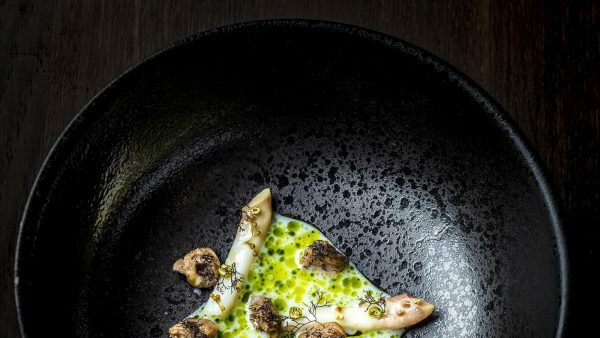 At Under, there is more than just the dining experience. You get the chance to learn about marine life to complete your experience. Under is situated between the two cities Kristiansand and Stavanger. Both cities have airports with national and international flights. 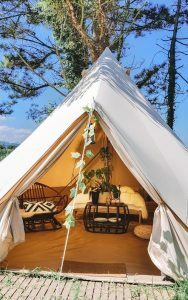 From there you can travel by car or train, but there are also boat charters available. Book your table via this link!